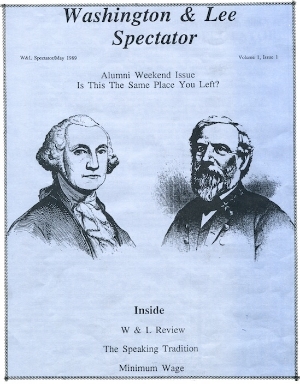 In 1989, The Spectator was founded as the conservative newsmagazine of Washington and Lee University, seeking to illuminate the truth about campus issues and often challenging the illiberal policies of the administration. After some time however, The Spectator ceased printing. It was revived in the Fall of 2013 and is now functioning again at a high level, printing four times a year.